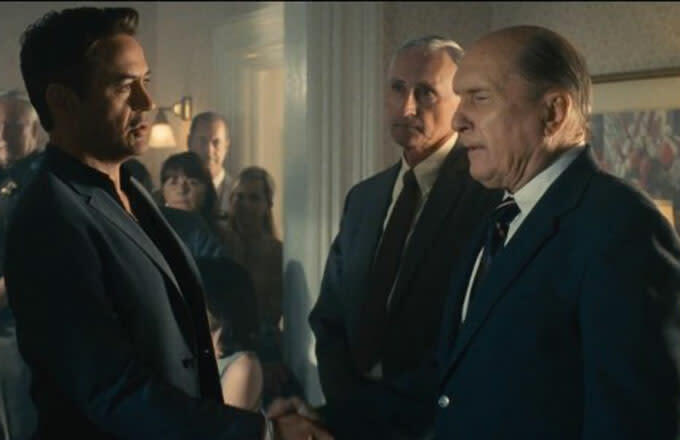 In David Dobkin&apos;s The Judge, which premiered at the Toronto International Film Festival, Robert Downey Jr. is Hank Palmer, just your regular big city attorney archetype: sharp tongue, crumbling marriage, strained father-son relationship. Anyone with a less than ideal family situation—so, everyone—will find something familiar in the movie, premeditated murder being the remarkable exemption (probably). The grudges we hold on to, the fears that plague us, and the sense of being unloved by individuals whose love should be unconditional—those are all very human subjects and worthy of exploration. And this is certainly the cast to deliver on it. Unfortunately, the strong performances are held back by a by-the-numbers storytelling approach that feels stale and predictable. You&apos;ve seen this before, especially the heavy dose of sentiment via emotional manipulation. The Judge wants to tackle too many things at once, and won&apos;t let go of its many distracting sub-plots. Had it focused on the father-son relationship, the necessary tension and mystery of the trial would have been enough to fill the film. As it plays now, most of the strongest, most honest scenes come when the two men connect over the indignities of old age, as Joseph&apos;s body and mind begin to give out. 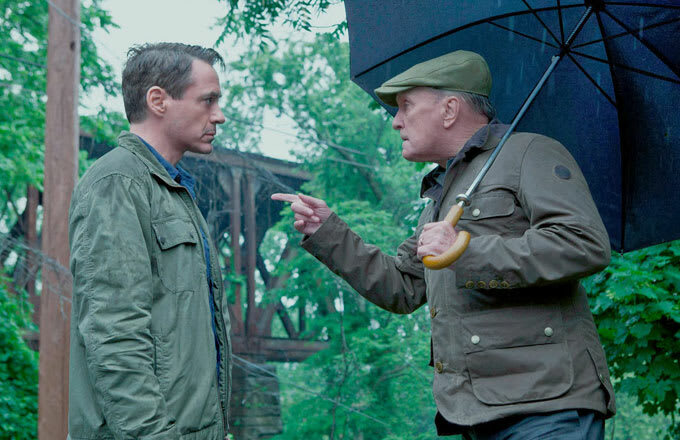 Downey and Duvall are backed up by a supporting cast that includes Vincent D&apos;Onofrio, Jeremy Stronger, and Leighton Meester, but none of these characters really get to do much—they&apos;re insignificant pawns in service of the story. Ultimately, despite a fantastic cast who does their best, some powerful moments, solid cinematography, and a premise that could have gone somewhere interesting by blending the procedural with the human, The Judge crumbles because of its weak script and uninventive, conventional direction. The verdict is in, wish the ruling was better. The Judge is set for an October 10 theatrical release. For more of Complex Pop Culture’s coverage of the 2014 Toronto International Film Festival, click here. TIFF: Josh Hutcherson Is Just White, Not 'Hard White,' in "Escobar: Paradise Lost"